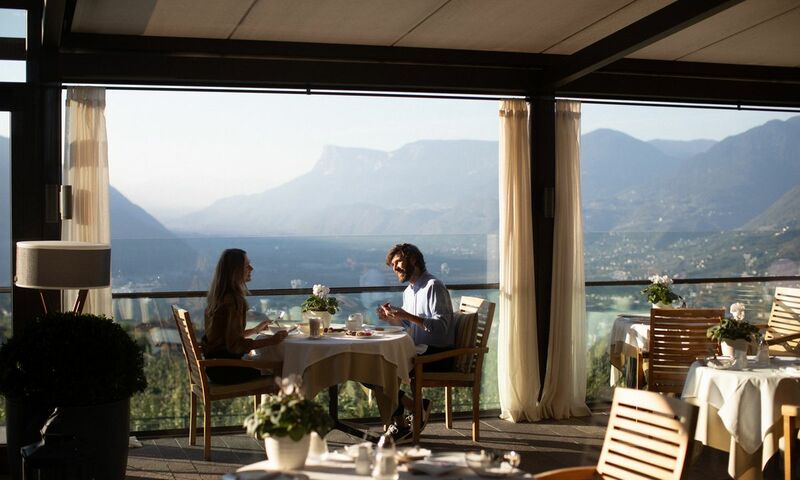 Our hotel’s panorama terrace overlooking South Tyrol is many things at once. But it is never too crowded. Whether at breakfast or at dinner, you won’t have to wait to find a table. 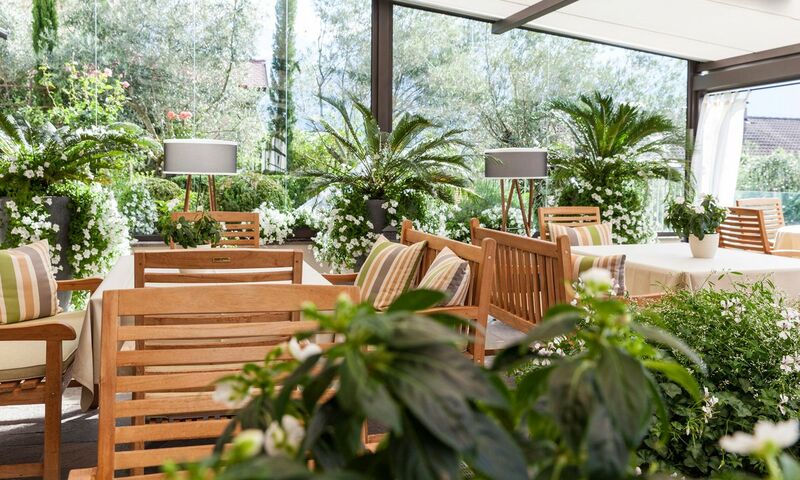 When designing our terrace, we were particularly committed to making sure there would be enough space to host each one of our guests. It was important to us that none of our guests had to miss out on enjoying our delicious food in the sun. 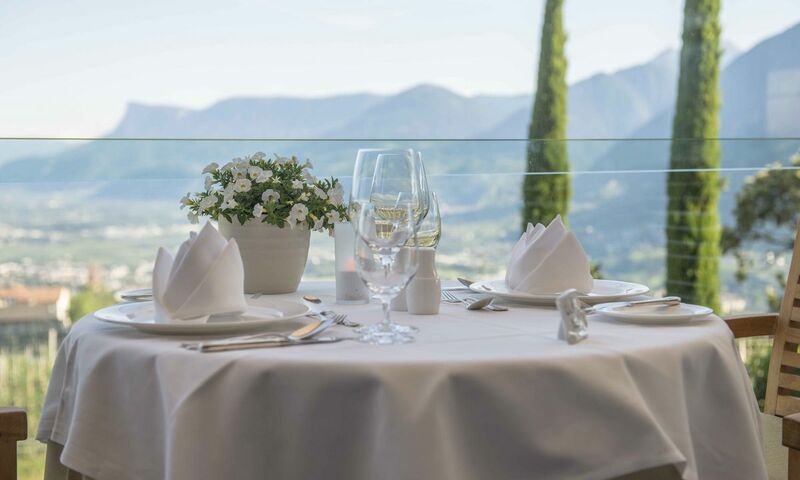 The mild Mediterranean climate of the Merano countryside endows us with 220 days of sunshine, making it possible to enjoy breakfast outside. Around 120 days a year, it is even warm enough to serve our gourmet dinner menu on the terrace, where superb views await. Experience for yourself why the Tyrol Castle was built on this hill hundreds of years ago, only a few minutes away from our hotel in South Tyrol. Not only our panorama terrace, but also many luxurious sun loungers spread out over three floors invite guests to relax and bathe in the sun, taking in the fabulous views offered by our hotel. 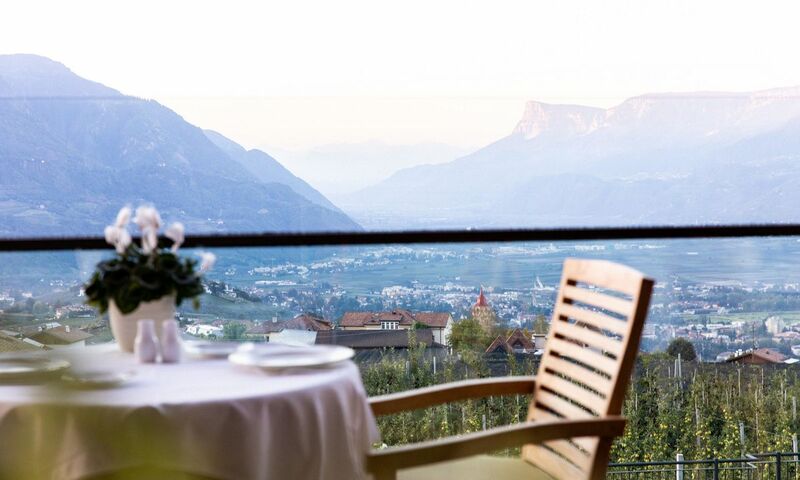 Explore our haven of peace with plenty of opportunity to unwind in Tirolo.